As a Drummond-approved solution, GoAnywhere MFT can meet your AS2 needs. Request a free, 30-day trial of our secure file transfer software to experience how GoAnywhere simplifies and supports the data you exchange with your trading partners. 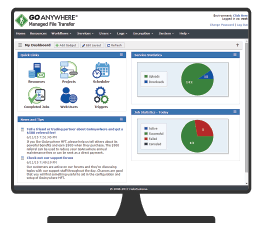 A GoAnywhere trial gives you 30 days to explore our AS2 client and server software. Determine whether our solution is a good fit for your organization. Fill out the form to start your free trial today. AS2 (sometimes AS/2) stands for Applicability Statement 2. It’s a popular protocol specification for transporting critical data securely and reliably over the internet. There are many advantages to using an AS2 solution, especially if it’s Drummond approved. A solution that includes AS2 support will provide end-to-end data encryption, authenticate your senders and recipients with digital signatures, exchange AS2 certificates, and validate the integrity of your files with successful transfer confirmations. GoAnywhere MFT, our secure file transfer solution, is Drummond Certified for Applicability Statement 2. This certification helps ensure successful integration and communication with trading partners across industries, as well as provides customers with peace-of-mind that GoAnywhere can handle their most critical documents and maintain a high degree of security and compatibility to other AS2 software. In order to become a Drummond Approved AS2 solution, GoAnywhere had to successfully conduct thousands of AS2 protocol specification test scenarios. The certification process uses full matrix interoperability testing between vendors and their AS2 software to verify that important transactions maintain their security and integrity as they are transmitted over the Internet. Explore GoAnywhere’s AS2 client and server at your convenience. 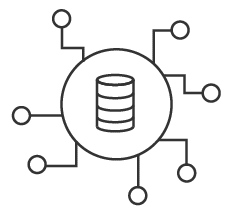 Our simple, scalable, and secure file transfer offering contains AS2 client software that allows your users and trading partners to connect to critical AS2 servers. GoAnywhere MFT can be scaled to handle unlimited AS2 partner connections and runs on nearly every platform. GoAnywhere MFT allows you to schedule when important AS2 messages should be sent and retrieved. Use GoAnywhere’s AS2 client to send AS2 messages on a scheduled basis. Multiple files can be sent with each message. If a connection breaks, GoAnywhere will automatically reconnect and retransmit the message. Synchronous and asynchronous receipts can be logged to ensure messages are successfully processed by your trading partners. Use GoAnywhere’s AS2 server to retrieve AS2 messages from your trading partners. You can authenticate trading partners with user credentials and X.509 certificates. When a message is received, a trigger can automatically process the received files. For example, GoAnywhere could move the AS2 documents to another area on the network. With GoAnywhere’s browser-based interface, you can configure and monitor AS2 file transfers and workflows. Each administrator can be assigned different permissions in GoAnywhere with their own custom dashboards.